Toronto. 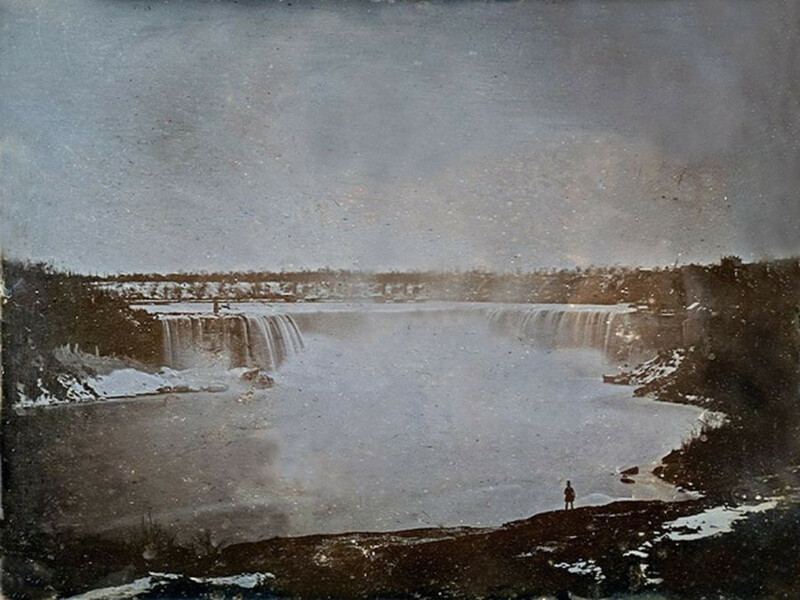 In 1840, an English businessman called Hugh Lee Pattinson in a trip around the known parts of North America, used the the new daguerreotype technology to record spectacular areas of the world. In British North America, he recorded the world famous falls at Niagara. The originals were thought to have been lost to history when they suddenly emerged in holdings at Newcastle University in northern England. The event was noted back in 2013/4 by the Huffington Post (Canada). George Eastman House in Rochester offered to clean, copy and return the originals to Newcastle. Our May speaker, Dr Anthony Bannon raised the topic in his presentation on The Taking of Niagara, his tongue in cheek name for early drawings and photographs of the awesome and noisy falls. 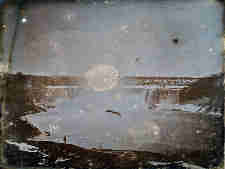 This entry was posted in photos and tagged 1840, Canada, daguerreotype, Huffington Post Canada, Pattison. Bookmark the permalink.